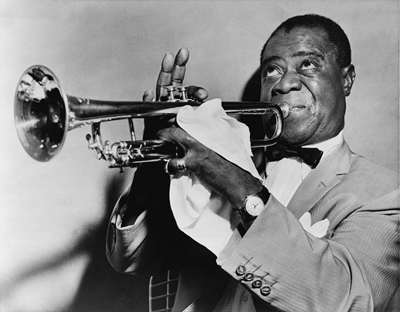 JAZZ is a genre of music that originated in African-American communities during the late 19th and early 20th century. Jazz emerged in many parts of the United States of independent popular musical styles; linked by the common bonds of European American and African-American musical parentage with a performance orientation. 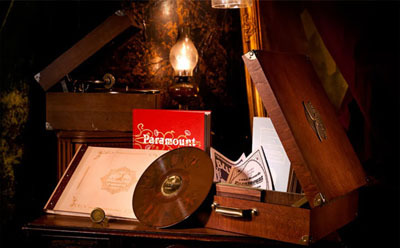 Jazz spans a range of music from ragtime to the present day—a period of over 100 years—and has proved to be very difficult to define. Jazz makes heavy use of improvisation, polyrhythms, syncopation, and the swung note, as well as aspects of European harmony, American popular music, the brass band tradition, and African musical elements such as blue notes and ragtime. A musical group that plays jazz is called a jazz band. As jazz spread around the world, it drew on different national, regional, and local musical cultures, giving rise to many distinctive styles. New Orleans jazz began in the early 1910s, and it combined earlier brass band marches, French Quadrilles, biguine, ragtime, and blues with collective, polyphonic improvisation. Heavily arranged dance-oriented Swing big bands, Kansas City jazz, a hard-swinging, bluesy, improvisational style and Gypsy jazz, a style that emphasized Musette waltzes, were important styles in the 1930s. Bebop emerged in the 1940s; it shifted jazz from danceable popular music towards a more challenging "musician's music" which was played at faster tempos and used more chord-based improvisation. Cool jazz developed in the end of the 1940s, introducing calmer, smoother sounds and long, linear melodic lines. Free jazz from the 1950s explored playing without regular meter, beat and formal structures. 10 of the best jazz clubs in Europe - The Guardian. Down Beat - since 1934. American magazine devoted to "jazz, blues and beyond", the last word indicating its expansion beyond the jazz realm which it covered exclusively in previous years. JAZZ AT LINCOLN CENTER - official website. JAZZ.COM - jazz music, artists & news. LIST OF JAZZ MUSICIANS - Wikipedia. List of jazz venues - list of notable venues where jazz music is played. It includes jazz clubs, clubs, dancehalls and historic venues as well. 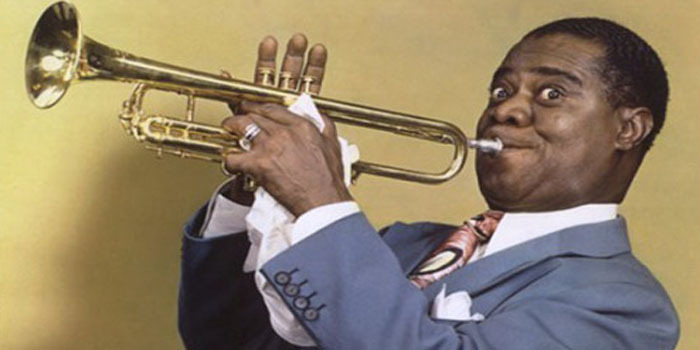 Only known film of Louis Armstrong in the recording studio – video - The Guardian. ART FARMER - performing YOU KNOW I CARE. ART TATUM - performing Humoresque by Dvorak. ARTIE SHAW - performing Concerto for Clarinet. BEN WEBSTER - performing Sextet-C Jam Blues. BENNY CARTER - performing When lights are Low. BENNY GOODMAN & HIS ORCHESTRA - performing SING SING SING. BILLIE HOLIDAY - performing MY MAN. BUD POWELL - performing THERE WILL NEVER BE ANOTHER YOU. CHARLES MINGUS - performing MOANIN'. CHET BAKER - performing MY FUNNY VALENTINE. COUNT BASIE - performing APRIL IN PARIS. CURTIS STIGERS - performing I WONDER WHY. DAVE BRUBECK QUARTET - performing TAKE FIVE. DEXTER GORDON - performing IT'S YOU OR NO ONE. DIZZY GILLESPIE - performing A NIGHT IN TUNESIA. DJANGO REINHARDT - performing MINOR SWING. DUKE ELLINGTON - performing TAKE THE "A" TRAIN. EARL HINES - performing performing THE PIANO IN BERLIN. ELLA FITZGERALD - performing SUMMERTIME. ERROLL GARNER - performing MISTY. FATS WALLER - performing AIN'T MISBEHAVIN'. GEORGE SHEARING - performing Lullaby of Birdland. GLEN MILLER ORCHESTRA - performing MOONLIGHT SERENADE. HERBIE HANCOCK - performing ROCK IT. JELLY ROLL MORTON - performing Maple Leaf Stomp. JIMMY DORSEY - performing SO RARE. JIMMY SCOTT - performing I CRIED FOR YOU. JOE SAMPLE - performing Spellbound. JOHN COLTRANE - performing GIANT STEPS. KEITH JARRETT - performing SOMEWHERE OVER THE RAINBOW. LES MCCANN - performing Compared To What. LOUIS ARMSTRONG - performing HELLO DOLLY. MILES DAVIS - performing HUMAN NATURE. NINA SIMONE - performing AIN'T GOT NO... I'VE GOT LIFE. ORNETTE COLEMAN - performing DANCING IN YOUR HEAD. OSCAR PETERSON TRIO - performing YOU LOOK GOOD TO ME. PEARL BAILEY - performing St. Louis Blues. SARAH VAUGHAN - performing MISTY. SIDNEY BECHET - performing PETITE FLEUR. SONNY ROLLINS - performing St. Thomas. STAN GETZ QUARTET - performing GIRL FROM IPANEMA. SUN RA - performing KEYBOARD SOLO. THELONIOUS MONK QUARTET - performing 'ROUND MIDNIGHT. TOMMY DORSEY - performing I'M GETTIN' SENTIMENTAL OVER YOU. VIJAY IYER - performing GALANG. WOODY ALLEN - performing CLARINET SOLO. WYNTON MARSALIS - performing HAPPY BIRTHDAY. 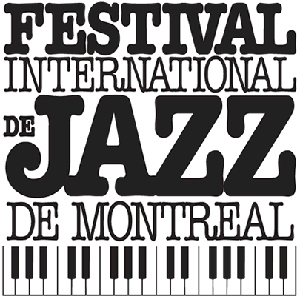 LIST OF JAZZ FESTIVALS - Wikipedia. Brecon Jazz Festival - since 1984. Held annually in Brecon, Wales, U.K. Normally staged in early August, it has played host to a range of jazz musicians from across the world. Cheltenham Jazz Festival - since 1996. One of the UK’s leading jazz festivals, and is part of Cheltenham Festivals. COPENHAGEN JAZZ FESTIVAL - since 1979. (July) Copenhagen, Denmark. JAZZ À JUAN - since 1960. Annual jazz festival in Antibes Juan-les-Pins, France. Jazz in Marciac - since 1978. (July/August) Marciac, France. Malta Jazz Festival - since 1990. (July) Valletta, Malta. Monterey Jazz Festival - since 1958. (July) Monterey, California, U.S.A.
MONTREAL INTERNATIONAL JAZZ FESTIVAL - since 1980. (June-July) Quebec, Canada. World's largest jazz festival. MONTREUX JAZZ FESTIVAL - since 1967. Montreux, Switzerland. Second largest annual music festival in the world. NEW ORLEANS JAZZ & HERITAGE FESTIVAL - since 1970. (May) annual celebration of the music and culture of New Orleans and Louisiana, U.S.A.
Newport Jazz Festival - since 1954. (August) Newport, Rhode Island, U.S.A.
Nice Jazz Festival - since 1948. (July) Nice, France. Paris Jazz Festival - since 1994. (June - July). Bois de Vincennes, Paris, France. TANJAZZ FESTIVAL - since 2000. (September) Tangier, Morocco. Vancouver International Jazz Festival - since 1986. (June) Vancouver, Canada.